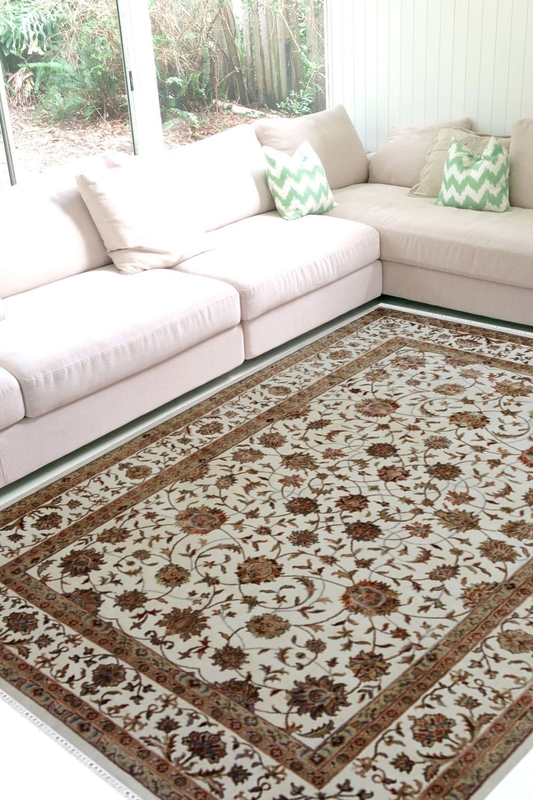 Meena Khanif Floral Motif carpets are made in 100% pure New Zealand wool and cotton material. Due to its pure material, it is a highly durable and 100% hand washable carpet. Use this carpet for providing a statement to your floor. Place this gorgeous handknotted wool area rug on the floor and enhance the beauty of your décor. This carpet will be the real statement of a floor. The ground of this area rug is in ivory color. This is woven on a handloom by hand. This carpet contains Kashan design pattern which has been originated from Persia in 16th century. The name of design is taken from the name of the origination place.